Dr. Radha Cherukuri’s interest in medicine propelled her into the health care sector nearly three decades ago. She has spent the past 12 years working at Maternal-Fetal Medicine, PC, a medical center that provides clients with a variety of medical services including consulting services. An expert in performing high-risk obstetric and fetal procedures, Dr. Cherukuri works closely with patients in order to provide them with the highest quality services. She takes great pride in being able to take care of high-risk patients and seeing improvement in their health. Dr. Cherukuri earned an MD in India, and completed coursework in maternal and fetal medicine at SUNY Downstate Medical Center, Brooklyn. 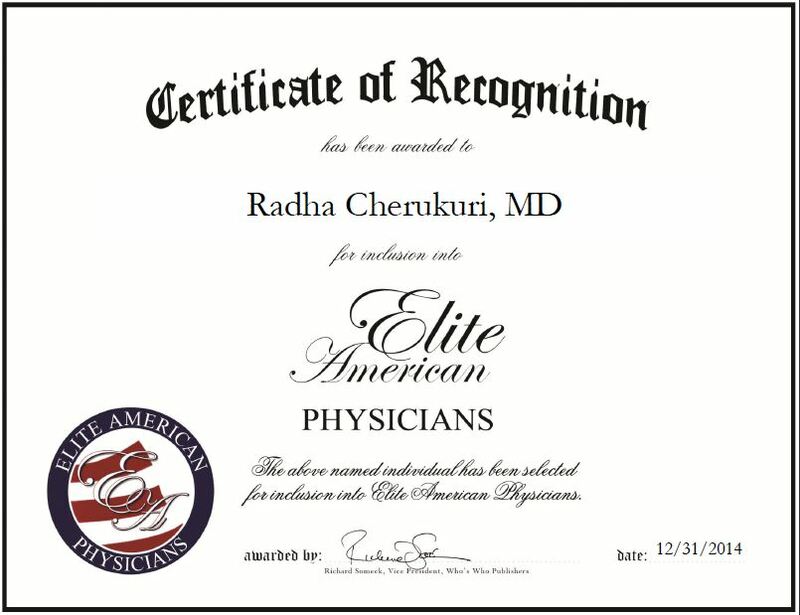 She is affiliated with the American College of Obstetricians and Gynecologists, Society of Natural Maternal Medicine, and Michigan Medical Society, and attributes her success to her self-motivation. This entry was posted in Obstetrics and tagged high-risk obstetric and fetal procedures, Maternal-Fetal Medicine, medicine, patient care. Bookmark the permalink.